Two years into the reign of Queen Victoria, London was stunned by the horrific murder of a young servant girl, Elizabeth Ann Paynton by an eighteen year old footman, William John Marchant. 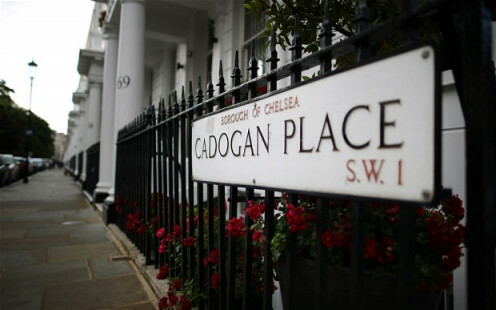 Marchant was servant to a Mr. Henry Edgell, the county magistrate for Chelsea, who lived at the prestigious five storey Belgravia address of 21 Cadogan Place in Sloane Street. Marchant was described as, honest intelligent and good-tempered and held in high regard by his employers and colleagues alike. His father had previously been a servant to the Duke of Roxburghe in Grosvenor Place and young William had been well schooled at the Chelsea National School and the Cranford Bridge Academy where his potential was recognised by a Fulham clergyman Rev. Vale, who took him under his wing and helped give him a good start to his career in service. 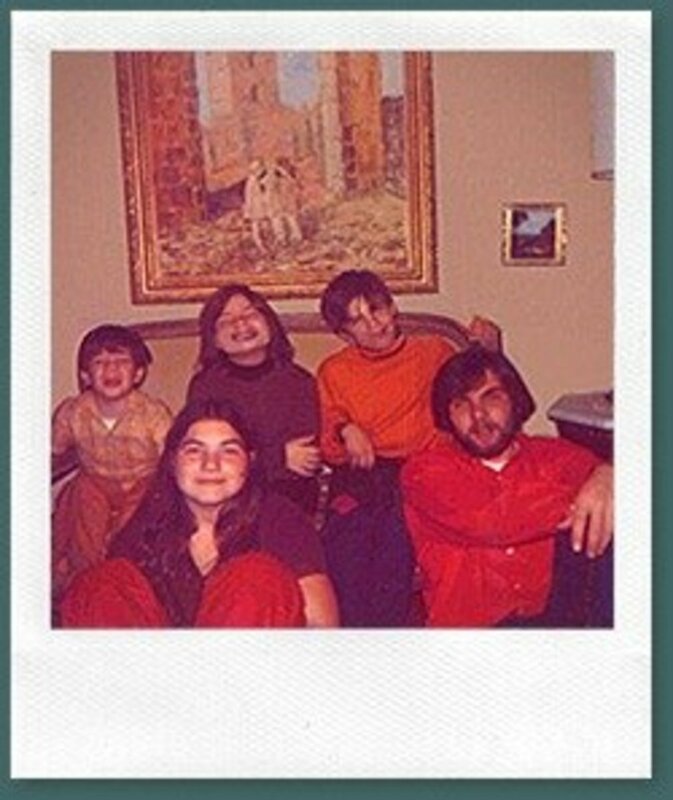 He joined the Edgell household seven months before the tragic murder and quickly settled into the below-stairs team as a diligent, mild mannered young man. A month after his arrival, attractive nineteen year old Elizabeth Anne Paynton from Oxfordshire joined the household as under-housemaid. She arrived from a family in Belgrave Square, where she too had been held in high esteem. 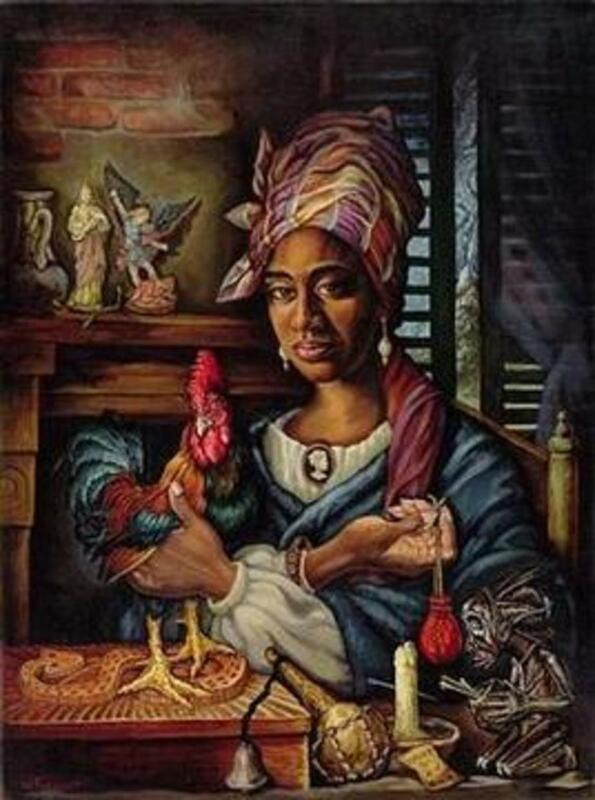 As both the cook and the upper-housemaid were also called Elizabeth, she became known in the household as Ann. Four days before the murder, Merchant’s father, a porter at the Ellis Street library, joined his son for a meal in the servant’s hall at which Ann was also present. She was described as a lively and vivacious girl and this was certainly in evidence as she danced flirtatiously around a rather shy William. She playfully stepped on his toes and sat on his lap and seemed quite taken with him, although William’s father was uncertain to what extent her attentions were reciprocated by his reserved and quietly spoken son. All agreed however that it had been a good-natured evening. On Friday 17th May 1839, Mr. and Mrs. Edgell decided to go down to the country and the coachman, William Middleton and the upper-footman William Cox, took them down to Foot's Cray in Kent, leaving the four other servants alone in the house. Elizabeth Gough the upper-housemaid, and the cook Elizabeth Strike, attended to their duties early in order to take a couple of hours off in the afternoon. Spirits were high and, with the master departed, the atmosphere was very relaxed and the servants were able to let their hair down a little. There was much horseplay and frivolity in the servant’s hall where Ann playfully flashed her garters much to the amusement of her fellow servants. 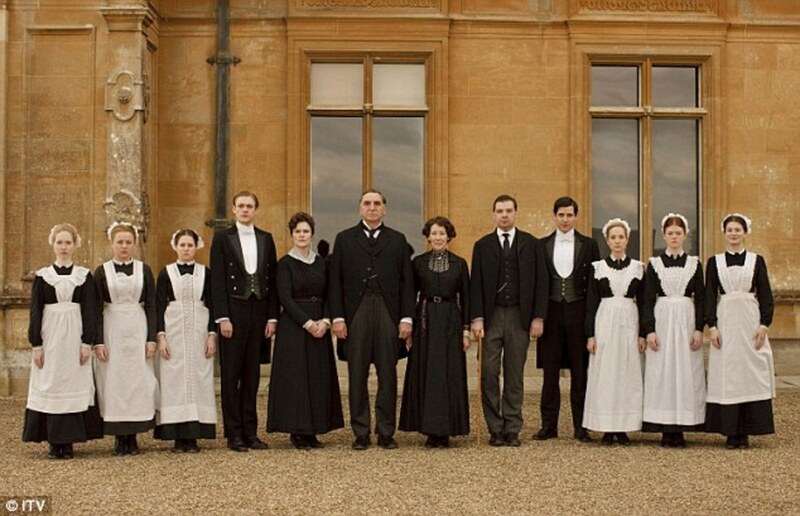 At about 3.30pm, the upper-housemaid and cook went into town leaving William and Ann in the house alone. As the cook left she jokingly dared the bashful footman to get one of Ann’s garters before she returned and if he didn’t there would be a penalty to pay. This was an innocent challenge she lived to regret. Ann finished off her chores and William helped to carry up water to her bedroom for her. The two then settled down in the drawing room and began to chat together. This led to a bit of sexual banter between them during which he made a play to grab her garters. He clearly overstepped the mark at one point and the affronted housemaid made it clear that she wanted none of it. The playfulness continued to get out of hand and Ann screamed abuse at him, slapped his face and told him she would get him dismissed for his rudeness. Exactly what happened next remains a mystery but appears to be completely out of character for young Marchant, who himself was unable to explain what had come over him. He left the drawing room and came back with a cut throat razor which he said he was going to use to cut off her garters. She warned him not to come anywhere near her and then after a brief struggle in which she resisted his advances, in an inexplicable impulse, he attacked her with the razor, slashing her throat wide open. After an ear-piercing scream, she felt immediately to the floor writhing in agony and gurgling blood from a gaping throat wound. Marchant looked down in horror at what he had done. He said that he had not the least intention of harming her and yet in a moment of insanity, he had inflicted a brutal and fatal injury upon his friend. He threw the razor to the floor and fell to his knees clutching the convulsing body of Ann as she gasped for her last breath, their bodies saturated in a crimson tide of blood. He sobbed and prayed for several minutes holding her limp body close to his chest. Then the full dreadfulness of his crime dawned upon him. He ran out into the hallway, put on his great coat to cover his blood-soaked livery, and fled in panic into the busy streets of Chelsea. Cook Elizabeth Strike returned to the house at around 6pm but was unusually unable to gain access. She knocked on the front door for some time but there was no reply. 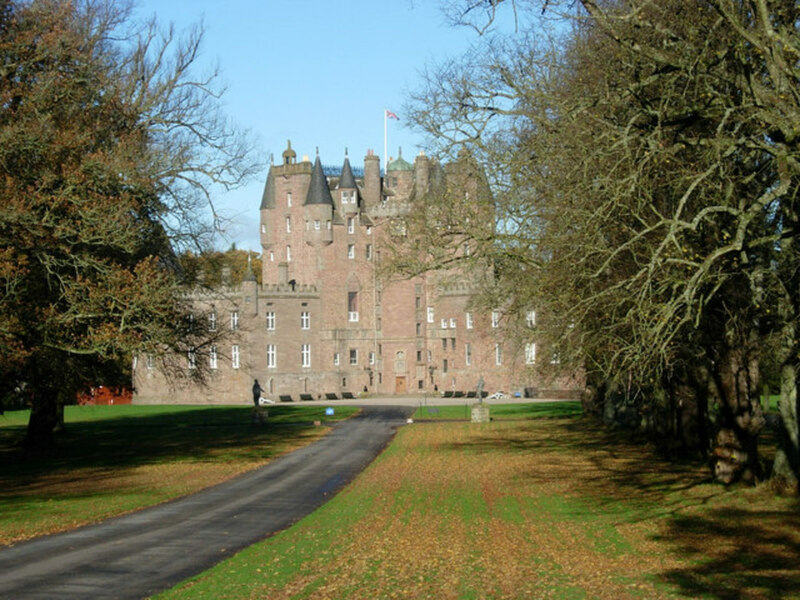 She remained outside for two hours until she was joined by the upper-housekeeper, Elizabeth Gough, who was also surprised that no-one had answered the door. On looking around the house, she noticed that the venetian blind in the drawing room had been half opened. Mrs Gough had closed this just before she went out and there should have been no need for anyone to have opened it. The two women became concerned and went round to the stables at Little Cadogan Place where they found that the coachman John Middleton and William Cox had returned from dropping off their master at Kent. Alerted by the women, the two men climbed over the garden wall and kicked open the back door. They found the house in complete darkness and eerily silent. After letting the women in through the front door, a systematic candlelit search of the house was made but there was no sign of either William Marchant or Anne Paynton. The housekeeper then entered the drawing room and saw a figure lying on the floor near the window. She thought she had found the couple up to no good and furiously strode over calling out “You wretch- what have you been up to?”. She nudged the body with her foot and screamed out in horror as she caught sight of the appalling gash across Ann’s throat. 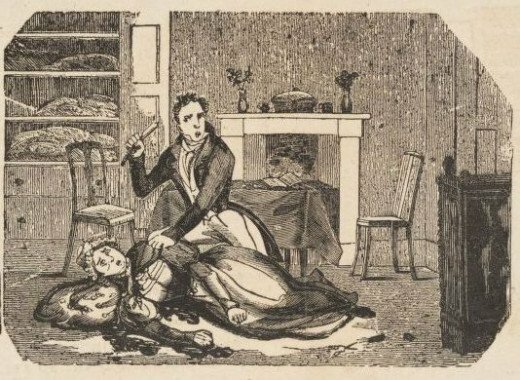 She called out “Oh my God- here’s Ann with her throat cut!” The other servants rushed into the drawing room and found the dead body of their colleague lying in a pool of congealed blood with a cut throat razor and her maid’s cap lying nearby. In her right hand she grasped some hair. On her left hand there appeared to be defence wounds. One shoe was off, her stockings were pulled down and her garters gone. There was evidence of a violent struggle having taken place in the room and the venetian blind had been partially raised as if she had been trying to open the window to call for help. William Cox recognised the tortoiseshell-handled razor as his, which he kept in a drawer in the pantry. There was no sign of William Marchant and his greatcoat was missing. Remarkably, despite the strong circumstantial evidence of a murder having been committed, the attending surgeon Henry Jay from nearby Sloane Street concluded it was a case of suicide and the young girl had clearly taken her own life! The servants were bemused by this conclusion and even more so when their master Mr. Edgell, hearing of the murder, concurred with the doctor’s view denying that William could have harmed anyone. At this point William Marchant was fleeing through the streets of London in panic, convinced that the authorities were hot in pursuit. He discarded his shirt front which was drenched in Ann’s blood into a ditch at Shepherd’s Bush. He pawned his pocket watch on the Great Western Road to raise cash and stayed the night at an alehouse in Hammersmith. That night he was haunted by the bloody apparition of Ann Paynton who appeared at the foot of his bed staring at him with accusing eyes and imploring him to give himself up. The ghost tormented the terrified footman until dawn when, grateful for the return of the daylight, he decided to make his way to Windsor. 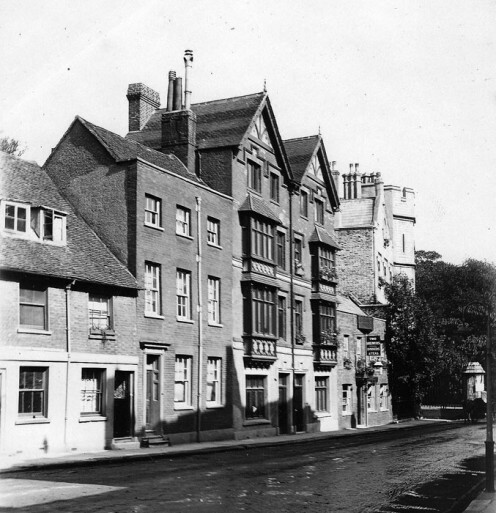 Arriving exhausted in the town, he took at room at the Two Brewers in Park Street, a stone’s throw from Windsor Castle where a young Queen Victoria was in residence. Throughout that night at the Two Brewers he was again tormented by the increasingly anguished spectre of young housemaid urging him to give himself up. On Sunday morning, tired and desperate, he sought solace in God and attended a church service at Eton College Chapel where the sermon seemed to single him out for attention. The Minister’s eyes bore into him as he beseeched all sinners present to repent of their sins. He prayed earnestly for forgiveness but as he opened his eyes, there sitting next to him in the chapel pew, was the bloodied ghost of young Ann, glaring at him accusingly. He fled the chapel and resolved at that moment to return to London to the scene of the crime and give himself up. 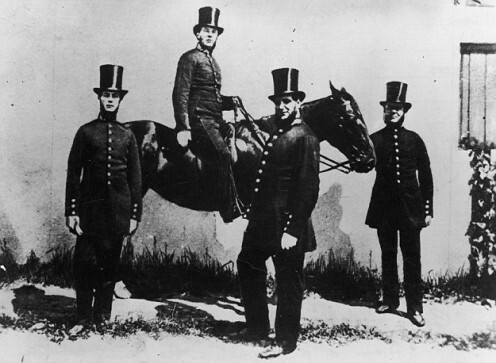 At around 6pm on Sunday 19th May 1839 Inspector William Lawrence of the Hounslow Horse-patrol was standing outside his house on the Bedfont Road. He had spent the day patrolling Hounslow Heath as far afield as Ascot in response to a spate of crime perpetrated by gang of highwaymen. He had not managed to apprehend any of them and was contemplating booking off duty when he was approached by a dishevelled, pathetic young man of about 18 years of age who in a barely audible voice asked whether he was a police officer. When he received a reply in the affirmative, the unassuming youth made a disclosure that left the police officer dumbstruck and was to lead to the most important arrest of his career. The timid young lad dressed in a drab great coat buttoned up to his chin, confessed to having murdered a young servant girl at 21 Cadogan Place in Belgravia two days previously. Inspector Lawrence could scarcely believe what he was being told and looked askance at the pitiful figure who seemed barely capable of supporting himself upright, let alone committing murder. Sensing the officer’s scepticism, Marchant showed him a patch of blood on the sleeve of his waistcoat. “This is her blood” he said calmly. This was enough to persuade the policeman to take him into his house for further questioning. Marchant then took off his great coat to reveal a footman’s livery which was saturated in blood. He freely admitted to the officer that he had cut the throat of a fellow servant with a razor and left her for dead on Friday afternoon. Inspector Lawrence’s blood ran cold as looked around him apprehensively but he could see nothing. They quickened their pace and hastened on towards the police station. “Perhaps she is not dead?” said the officer in an attempt to reassure his young prisoner. “Oh I know she is dead for certain sir”, replied Marchant, “For I cut her throat in three places.” Throughout the journey to Brentford, Marchant asserted that he could hear the voice of the dead housemaid talking to him and by the time he was placed in a cell he was visibly cowering with fear so much so, that even Inspector Lawrence was unnerved. The following morning, Monday 20th May, he was conveyed by carriage back to Chelsea for the inquest which was held at the Bedford Arms in Pont Street. The streets were thronged with baying crowds eager to catch a glimpse of the monster who had so brutally murdered poor Ann Paynton. The inquest was opened the Middlesex Coroner Mr. Thomas Wakley. He took the jurors to the scene of the crime where, two days after its discovery, the body of Ann Paynton remained in situ in the drawing room at 21 Cadogan Place. There, in front of the horrified jury, Mr Fell, the Coroner’s Clerk, cut away the clothing from the corpse and began a forensic examination of the young servant’s body. The full extent of her injuries were then revealed. There had indeed been three incisions across her throat, one was superficial but the others were 8 inches long and had fatally severed her carotid artery and jugular vein. This was clearly a case of homicide and not suicide. Back in the inquest room William Marchant sobbed pitifully and at one point fainted in his chair and had to be revived. After taking evidence from all of the witnesses, the jury initially failed to reach a unanimous verdict. 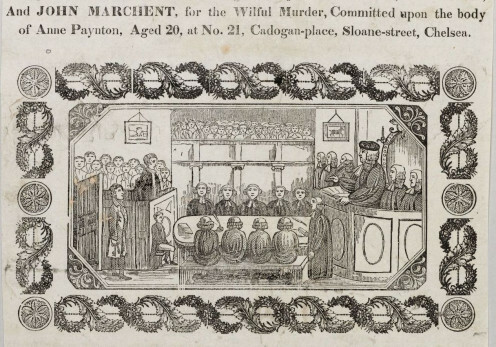 The lack of a motive persuaded one juror that Merchant’s inexplicable and uncharacteristic actions were carried out in the heat of the moment, and constituted manslaughter rather than murder. The Coroner and his fellow juror’s however were of a different view, citing the procurement of a razor as evidence of ‘malice aforethought’ and eventually a unanimous verdict of murder was pronounced upon him and he was committed for trail. By coincidence the foreman of the jury was Mr. Crabbe, a boot maker from Sloane Street, in whose service Ann had previously worked and who had high regard for her. At the end of the inquest an artist asked for permission to draw a likeness of the prisoner and Marchant agreed after it was promised that his mother would get a copy. Still wearing the blood soaked clothing in which he fled the crime scene; he sat in shackles for the drawing before being conveyed through streets of hostile crowds to Newgate prison to await trial. 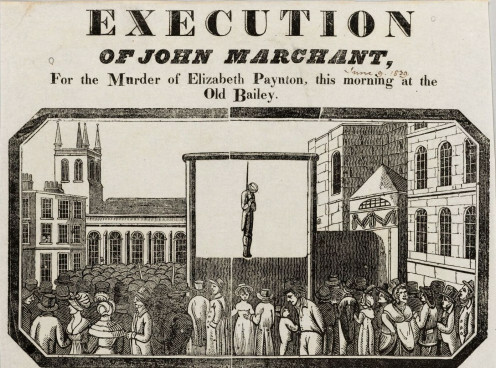 At Newgate he was formally charged with the murder of Elizabeth Ann Paynton. His grief stricken parents could not believe what their beloved son had done and visited him at length during his month in Newgate in order to better understand his bizarre actions. He could not however offer up any rational explanation. 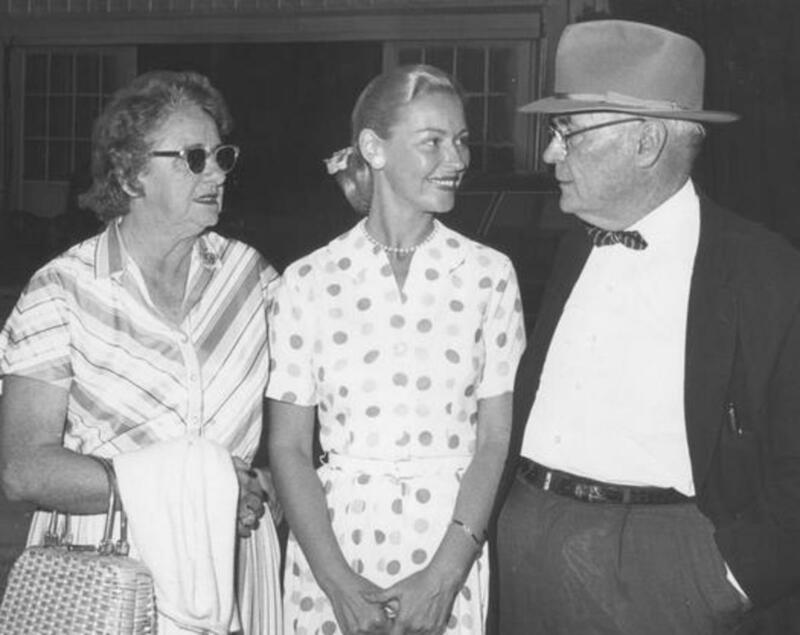 He told them that he was fond of Ann but had no romantic interest in her and there had never been a cross word between them until the day of her death. He said that if cook had not dared him to take the garter then, he would not have dreamed of behaving in an improper way towards her. He told his parents that he was tormented by the phantom of Ann who visited him nightly in Newgate. 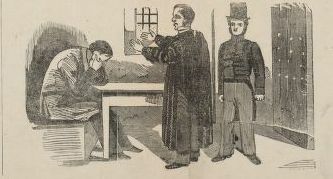 These nocturnal visitations continued until his trial on Friday June 21st 1839 when Marchant described as a ‘slight and puny youth’ dressed in a drab livery great coat pleaded guilty at the Old Bailey, fully admitting responsibility for his crime and telling the judge that he had never wilfully told a lie in his life and would not begin to do so now to save his life. His bitter remorse and wretched and appearance invoked the pity all those present, but no mercy was expected or granted. The judge donned the black cap and the sentence of death by hanging was duly passed. The prisoner was then removed from the bar in a state of ‘dreadful agitation’. There was no doubt in the minds of those who saw him that he was truly repentant. During the days that followed, Marchant told his distraught parents that the gruesome apparitions of Ann ceased after the court appearance. He declared that he felt happier after the sentence had been passed and justice had been done -adding that he preferred death to transportation. 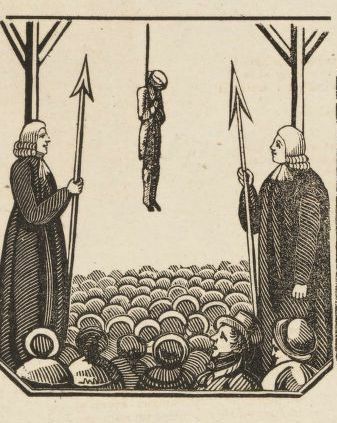 At 8am Monday 8th July 1839, the prison bell at the Old Bailey began to toll its mournful peal and William Marchant was removed from the condemned cell and taken to the scaffold where in front of a crowd of hundreds of spectators, he was hanged. The hangman botched the job, not allowing sufficient fall to break his neck and the young servant died a slow and agonising death kicking frantically in mid-air for several minutes before finally choking to death. His body was left for the customary hour before it was cut down. A public clamour ensured to gain access to the body, an artist made a death mask and an old woman pleaded with the wardens to allow the ‘dead hand’ of the prisoner to rub her neck in the belief that it would cure a tumour. He was buried at midnight in the confines of the prison yard. The shocking case, and the ghost of Ann Paynton, was immortalised in gallows doggerel by Jemmy Catnach the so-called Bard of Seven Dials and leading publisher of penny dreadful ballads. 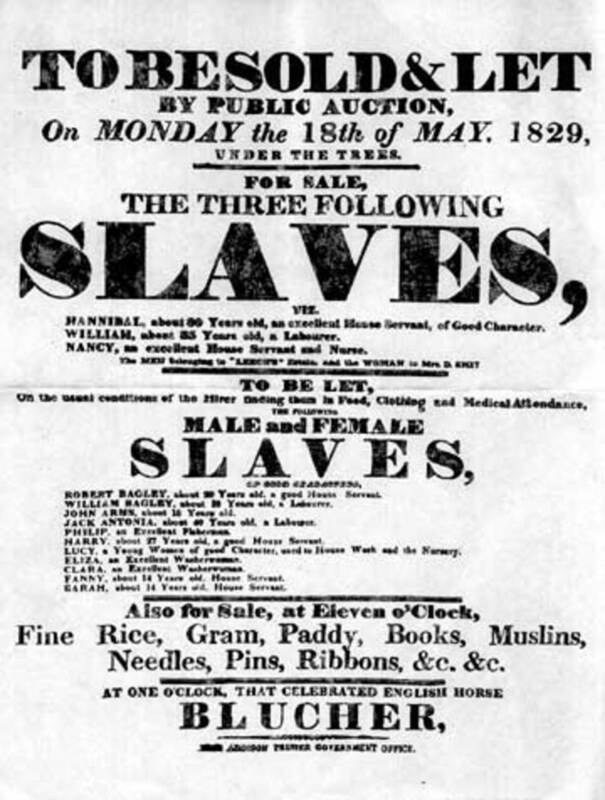 The case also featured in several execution broadsheets which sold in their tens of thousands. I bid all people on earth farewell. I do confess I have been to blame. I should leave this earth with a troubled mind. Good people, pray drop a tear for me. John Marchant would take her life. Then to justice I gave myself straightaway. And on the eight of this month of July. And leave this world of misery and woe. Elizabeth Ann Paynton was laid to rest buried at St. Luke’s Chelsea New Churchyard on 22nd May 1839. Thousands followed the funeral procession which was led by her sister and fellow servants. Ann’s restless spirit had ensured that justice was done and that William Marchant was held to account for his murderous actions. Indeed had it not been for the supernatural intervention of Ann’s ghost which drove Marchant to confession, it is highly possible that her death would have been recorded as suicide which would have denied her a burial on consecrated ground and perhaps left her spirit to roam the earth forever more.